Tuesday, 17 December 2013: Creative agency JOY has today announced Michele O’Neill as Head of Strategy. Ms O’Neill is responsible for the strategic direction of the agency, in collaboration with co-founder Andrew Wynne. Australian born Ms O’Neill brings twenty years of international experience in FMCG as Global Planning Director at Lowe and Partners in London and Paris and prior to that, Ogilvy Worldwide. The announcement comes as part of JOY’s recent leadership appointments, including Simon Ludowyke as General Manager who joined from BBH New York and Ron Taylor as Chief Operating Officer. Aaron Thomas has also joined the agency as a Group Account Director. Mr Thomas is responsible for the SBS and Subaru account and joins JOY from Publicis Mojo, where he led the launch of Toyota’s first sports car in six years and directed campaigns for Australia Pork, Gloria Jean’s Coffees, Taronga Zoo, Citibank and Optus. Prior to joining JOY, Ms O’Neill developed strategy across an international portfolio of brands for Unilever. She also built and launched shopper-marketing agency Lowe-Open in Shanghai, working closely with INSEAD Professor Ziv Carmon to gain insights into human behaviour and how we make brand decisions. JOY General Manager Simon Ludowyke said Michele and Aaron are huge assets to the company. “Michele brings invaluable knowledge to the group with an impressive background across clients and countries,” he said. “Her more recent exploration of behavioural economics and decision-making complements our new world-selling ethos, which aims to disrupt the traditional advertising model. Wednesday, 11 December 2013: Macleay Advertising will present the new branding for the National Indigenous Culinary Institute (NICI) tonight at LAUNCH – Macleay College’s Advertising Graduate Exhibition. LAUNCH presents work from the latest round of graduates from Macleay’s advertising school. The design and branding concept was developed by Macleay student Helen Metlenko, supported by copywriter Bridget Epitropakis and account manager Michael Chynoweth, as part of an industry-student co-operation between NICI and Macleay. NICI commissioned the college’s advertising school to create a range of ideas to brand the newly formed initiative, which focuses on training indigenous chefs, by some of Australia’s top culinary experts. Four student teams were assigned to develop varying solutions for the branding brief, including an identity, logo, colour and typography system, print, web and TVC design. Macleay Advertising Program Leader, Ian Thomson said the project with NICI was an example of the advertising program’s focus on developing close with businesses and their approach to practical, industry-led learning. “It’s so important these days for students to have relevant professional skills when they graduate, so we invest in opportunities that combine creativity and marketing know-how to produce professional work, like the real-life branding project with NICI,” he said. Tonight’s event, which is hosted at Macleay College in Surry Hills, will also feature a guest talk by Macleay Advertising student, Daniel Cutrone, who is now the Investment Director at Communication’s agency Initiative. Daniel will share insights into the advertising sector, the rise of the importance of media in advertising and offer advice to graduating students about career progression. LAUNCH is a great opportunity for students to showcase the creative and marketing projects they have worked on throughout the year, and a chance for industry professionals to meet some of the next generation of advertising professionals. LAUNCH will be held at Macleay College, 28 Foveaux Street, Surry Hills 2010 from 6 -8pm on Wednesday, December 11. MTV Australia has experienced a 16.7% year-on-year increase in share amongst its core 16-29 year old demographic. [iii] MTV features series such as Geordie Shore and The Valleys airing “no delay from the UK,” hit US programs Snooki and J-Woww, Catfish: The TV Show, Ridiculousness and Teen Mom, plus live broadcasts of global music events such as the MTV Video Music Awards and MTV EMAs. On 3 December, VIMN launched two new music channels in Australia: MTV Music and MTV Dance. MTV Music showcases the best global and A-list music across pop, rock, urban and alternative genres, and MTV Dance is VIMN’s first-ever 24 hour channel dedicated to electronic, hip hop and R ‘n B music. Nickelodeon is one of the most globally recognised and widely distributed multimedia entertainment brands for kids and families. Twice-named ASTRA Channel of the Year, Nickelodeon Australia is one of the most established STV channels in the country. Nickelodeon features original Australian productions including Camp Orange and Slimefest, animated favourites Teenage Mutant Ninja Turtles and SpongeBob SquarePants, popular live-action series and the annual Nickelodeon Kids’ Choice Awards. Nick Jr. provides educational and entertaining content that empowers kids to learn while they play and is the home to Dora the Explorer, STV’s #1 pre-school program[iv]. Other shows include Bubble Guppies, Team Umizoomi and critically acclaimed Australian productions Didi and B and Play Along with Sam. VIMN produces seven linear subscription television channels for the Australian and New Zealand markets: MTV, MTV Music, MTV Dance, MTV Hits, MTV Classic, Nickelodeon and Nick Jr. Other VIMN-owned platforms to be represented in Australia by MCN include websites for Comedy Central, The Daily Show with Jon Stewart, The Colbert Report, Tosh.0, Vh1, Spike, Nickelodeon Addicting Games, Neopets and more. [i] Source: OzTAM All Metro Homes Panel, Wks 1-40 2013, S-S 0600-2400, P16-54, Share to Selected%, consolidated. 10 December, 2013: Australian mobile payment provider and taxi services app ingogo today announced an additional $3.4 million in funding, valuing the business at over $25million and taking the total capital raised by the company to $7.1million. The new investment will allow ingogo to expand their innovative payment platform to thousands of taxi drivers across Australia as well as implement the system within new industries. The company is also planning to list on the ASX in 2014.
ingogo is an innovative mobile platform challenging incumbent taxi booking and payment players in Australia by providing a seamless end-to-end system that benefits both drivers and passengers. The company’s leading wireless payment terminal was launched with ANZ and Ingenico in October this year, and is one of the world’s first app-based payment platforms. The system won the CeBIT Future Payments Award in October and the HP Service Innovation Award in November this year. A number of new and existing investors are participating in the current funding round including, the UBS Australian Small Companies Fund, the Wilbow Group and private investors from Asia and the United States of America. A prominent Melbourne family fund has also joined the register. ingogo founder and Managing Director Hamish Petrie said the funding injection will see the company pursue new opportunities both locally and internationally that will progress the company to a position where it could be listed on the ASX in the first half of 2014. “This new round of investment will allow ingogo to deploy the highly successful ingogo mobile payment platform further across Australia and seek to provide a comprehensive suite of services for small merchants to accept payments through our platform,” he said. “The payment system solves a range of complex issues that also correspond to other mobile payment environments and given that taxis are one of the toughest payment spaces and we’ve cracked the market – our pilot group successfully processed several million dollars of payments last month – we see huge potential for the ingogo platform within new industries. The ingogo payment platform now covers mobile wallet, EMV compliant Contactless and EFTPOS & magstripe payments as well as in-app transaction reporting, in-app bank account history, real time funds settlements and cash withdrawals from ATM’s across Australia. ingogo allows customers to directly book a taxi with their smartphone and has also recently just released an SMS safety feature allowing passengers to send friends or family a free, personalised text, which includes the taxi’s details and the driver’s authority information. The investment round will also see the ingogo team more than double in size to over 25 staff in the New Year as well as allow the start-up to pursue international licencing of the app. The new investors join Brad Shofer Co-founder at MYOB, members of Sydney Angels and the Sydney Angels Sidecar Fund, Daniel Petre and Alison Deans (founders of successful early stage fund NETUS), Martin Dalgleish (Advisor to Ellerston Capital and previous Director of Seek and Carsales), Vikram Mehta (Pacific Venture Advisors – Silicon Valley) and ingogo founder, Hamish Petrie, who was the original founder of ticketing giant, Moshtix. ingogo was advised by financial experts Canaccord Genuity. Australia 9 December 2013: Property content and services platform, Onthehouse Holdings, today announced the launch of AdMe, a new tool that helps real estate agents to monetise their web traffic and e-Newsletters by displaying banner advertisements. Initially, AdMe will benefit users of Onthehouse Holdings’ Webchoice and Client Manager real estate software products. With the easy to use system, agents will be able to integrate display advertising from Onthehouse’s extensive client base of blue chip advertisers, into their existing website. The advertisers appearing through AdMe will be specifically tailored to appeal to real estate audiences at various stages of their property lifecycle. They include banks and insurance firms, as well as well-known Australian and international retailers. Current media partners include the Commonwealth Bank of Australia, Westpac, Samsung and RedEnergy. The advertising content and processes will be entirely managed by Onthehouse, so agents have no additional workload. Onthehouse’s media team will track the banners and provide a monthly report to agents detailing the level of traffic and revenue achieved. Onthehouse CEO Michael Fredericks said: “The launch of AdMe makes our website solution the only real estate software of its kind to actually put money back in agent’s pockets. Beth O’Brien, Chief Revenue Officer for Onthehouse, said: “We are very excited about AdMe and already have hundreds of agents expressing interest in how they can use it to create additional revenue streams and monetise their web-traffic. Onthehouse plans to extend AdMe from Webchoice and Client Manager users, to its Console user base in 2014, and eventually offering the service to all real estate agents in the future. 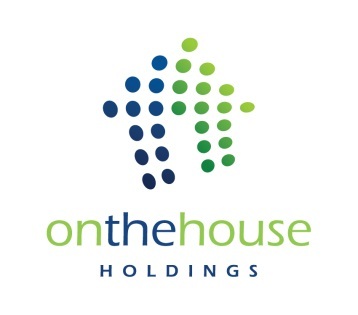 The Consumer Online division provides a platform of publicly available real estate websites underpinned by the www.onthehouse.com.au website, providing free access to an extensive database of real estate content and property values on most properties in Australia, including traditional real estate online classified listings. The website is comparable to successful offerings in the US (Zillow) and UK (Zoopla) and has very quickly become the third largest online real estate platform in Australia, currently attracting more than 1.5 million unique browsers per month. The Real Estate Solutions Division provides tools for real estate agents, other property professionals and financial institutions. It provides an integrated platform for office administration, property sales and management applications, online advertising solutions and other business performance tools for real estate agents and data and valuation related services for financial institutions using Onthehouse’s extensive database.